Tennessee has just implemented a new law this week that refers welfare applicants for drug testing, and withholds benefits from those who fail the test. Because nothing is more noble than a pointless and expensive drug crusade on the nation's poorest, based on a caricature of poverty. Adults over the age of 18 applying for federal Temporary Assistance for Needy Families (also known as Families First) must fill out a three-question form about their potential drug use. If they answer yes to one of questions, they will be required to provide a urine sample for testing. 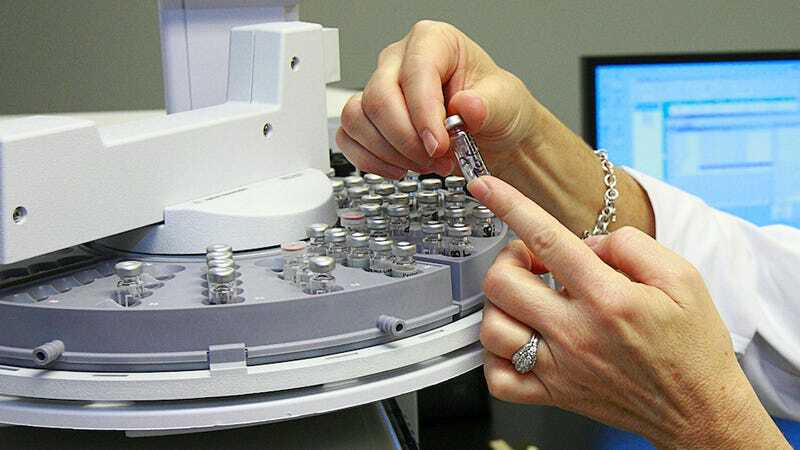 If the urine sample test positive (twice) for marijuana, cocaine, methamphetamine, amphetamine, or opiates, the Department of Health Services will refer the applicant for a professional substance abuse evaluation. The applicant will be outfitted with a treatment or recovery regimen that can last up to six months, and will face another drug test after completing the program to see if they're eligible for benefits. The program is a watered down version of the welfare application program in Florida which required every single welfare applicant to pay for and take a drug test (and risk canceled benefits if they failed). That program was deemed unconstitutional in 2011—it's not like it really says a lot that something is vaguely less awful than its Florida counterpart anyway. "This law singles out limited-income people and requires them to submit to humiliating and intrusive searches of their bodily fluids because they need temporary help making ends meet." Utah spent more than $30,000 to catch those 12 users. Virginia lawmakers rejected a similar proposal after realizing it would cost $1.5 million to operate while saving just $229,000. Any savings from Florida's program will be negligible after administrative costs and reimbursing the people who took $30 tests. Nothing like dropping crazy amounts of cash to basically make poor people the scapegoat of America's Drug Problem. Mississippi and Georgia are also in the middle of implementing drug-testing welfare applicants, but both are facing delays.